Right now, somewhere 30,000 feet above, there's a burger flipper savoring caviar with a porcelain spoon. Or a liquor store employee downing bottles of $300 Champagne. They're flying international first class on Cathay Pacific, Emirates, or one of a handful of other airlines that take service seriously, and they paid just a few hundred dollars for the privilege. Read on to see how you, too, can jet to Europe or the South Pacific for less than the cost of a family outing at Red Lobster. There are two primary virtual travel currencies to consider: Frequent flier miles and hotel points. Either can be earned using a combination of methods, or purchased outright during occasional sales. But regardless of your pick, you don't need to take a flight or spend a single night in a hotel to get started. Of course, for business travelers, building up account balances is easier than accumulating those tiny bottles of shampoo and shower gel, but you can easily earn enough to cross the Atlantic with your spouse or bring your family on that trip to Hawaii without a lot of work. Getting started is simple. To get going, you'll want to sign up for the frequent flier program of your preferred airline, along with the hotel chains where you stay. Every airline has a rewards program, but it's important to pick one airline (or airline alliance) and stick with it. So, say for example that you live in Chicago. You'll probably want to do most of your business with American or United since those airlines have "hubs" in your city. Youll have the greatest number of options for non-stop flights, so whether you need to go to Tokyo or Wichita, you'll get there without changing planes. 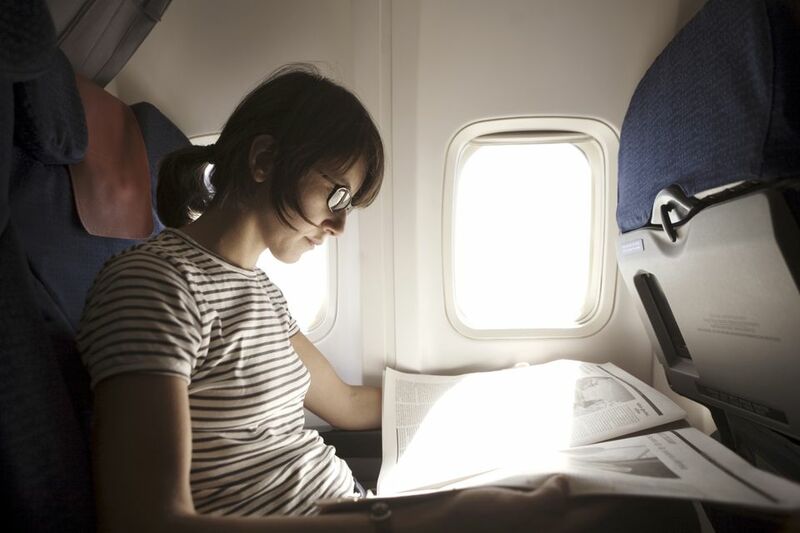 Earning by flying is the easiest way to rack up miles, but only if you travel often. You typically earn one award mile for every mile that you fly, so if you're traveling from Chicago to San Francisco, expect to net 2,000 miles for each direction. If you're flying from Chicago to Hong Kong, that amount jumps to nearly 8,000 miles or 16,000 roundtrip. Based on those rates, and an assumption that a domestic roundtrip economy ticket costs 25,000 miles, you'll have enough miles to fly anywhere within the US after flying two paid roundtrips to Hong Kong. Elite members (the "real" frequent fliers) earn even more. Credit card bonuses can get you flying for free even faster. Some top-tier cards offer up to 50,000 miles or more when you sign and meet minimum spending requirements, but those deals typically come along with annual fees of about $100 and mandate that you spend $5,000 or more with that card within the first few months of opening an account. The benefits can be tremendous, however, so if you qualify and can meet the requirements, this is often the best way to boost your mileage and hotel point balance. Redeeming miles is much easier than earning, assuming you have the required number to get where you need to go. If you earn miles with one airline, you're usually able to redeem for that carrier's own flights, along with travel on their partners. If you have MileagePlus (United) miles, for example, you can also travel on Air Canada, Lufthansa, Swiss, Thai, or dozens of other airlines, usually for the same number (or more) miles. Rates differ depending on the airline, but expect to spend 25/35/50k for domestic US flights in economy/business/first, double those numbers or more to Europe, and perhaps 2.5x the amount for flights to Africa, Asia, Australia, or India. Also, keep in mind that free flights are affected by very strict capacity restrictions, so even if there's a seat for sale to paying customers, you may not be able to use your miles to "buy" it. Hotel stays typically earn you points within the chain's own program, though there are exceptions, where you can earn miles instead. You'll likely get the best value out of the hotel points, though. Earning here works a bit differently. You'll receive a fixed number of points (probably between two and 10) for every dollar that you spend at the hotel, based on the nightly rate, meals billed to your room, in-room movies, internet charges, etc. You won't earn points for paying tax. Hotel credit cards can earn you points very quickly, just as you would with an airline card. Bonuses work much the same way, but since redemption rates can vary significantly from chain to chain, you'll want to read up on each program before making your pick. Expect to earn between 20,000 and 100,000 points when signing up for a credit card. You can also earn points when you purchase a timeshare through the hotel chain, so if you're planning to do that, it never hurts to ask during the negotiation process. Redeeming hotel points can often be easier than finding a reasonable free flight since many chains will let you secure a free hotel room as long as there's a basic room available for sale. Point requirements can vary tremendously though, depending on the hotel chain, the hotel location, and the hotel "category." Generally, expect hotels that cost more using cash to require more miles. Redemptions vary significantly here, so we recommend reading our hotel program overview before picking your chain. Buying miles and points is an option as well, but more often than not, you'll only want to do this to top up your account before making a redemption. For example, say you're trying to book a roundtrip flight from Seattle to Miami. The airline requires 25,000 miles, but you only have 22,000. You can purchase the difference, either at checkout or in advance, for a relatively high rate. For example, while you may get two cents of value for each mile, the airline may want you to pay three. This only makes sense if you need those miles for a specific flight. Once in a while, an airline will sell miles at a discount. Sometimes you can even score a deal, but we recommend saving those opportunities for a bit later in the game, once you have a solid feel for how to take full advantage of each program.